Eye Consultants of Atlanta: Operation Saving Sight (OSS) is a new charitable program of Eye Consultants of Atlanta (ECA) and the Eye Consultants of Atlanta Foundation, in which ECA surgeons and clinic professionals contribute their time and skills to perform cataract eye surgeries at no cost for Georgians in need. Introducing the Snow 7 HD Plus! 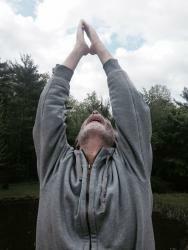 NEWS RELEASE FROM BLIND YOGA: With over 20 million people in the U.S. exploring the healing benefits of yoga, it’s important that this exercise be readily available and easy to access for everyone. View crystal clear HD images with vibrant colors, at any distance! Read newspapers, prescriptions, magazines & books. Perfect for shopping, reading labels, menus & bus schedules. Great for School reading, writing & homework. Constance Billingsley (a Selma native), Barbara and Angela received an Outstanding Patient Care Award from V.I.P. CEO William H. Bowman. They are professionals and try to make everyone get well as soon as they can. They provide a special touch to all and treat people with kindness. Than you for all you do at your facility. Constance is an LPN and Barbara is a wound nurse. Crowne Healthcare and Rehabilitation of Montgomery Admissions LPN Nurse Angela Johnson was recognized by V.I.P. CEO William H. Bowman for her outstanding patient care. Angela is from South Alabama and is married and the mother of two children. In her spare time she likes to read to kids. She has been a nurse for about eight years. She is kind and welcoming to all. V.I.P. salutes the nurses and staff at Jackson Hospital in Montgomery, Alabama for going out of their way to make patients with special needs feel special and to heal quicker. 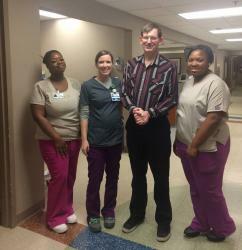 It is nice to see how the staff on the 3rd floor cares about the patients and gets to know them and their needs. They make you feel like a person and not a number.